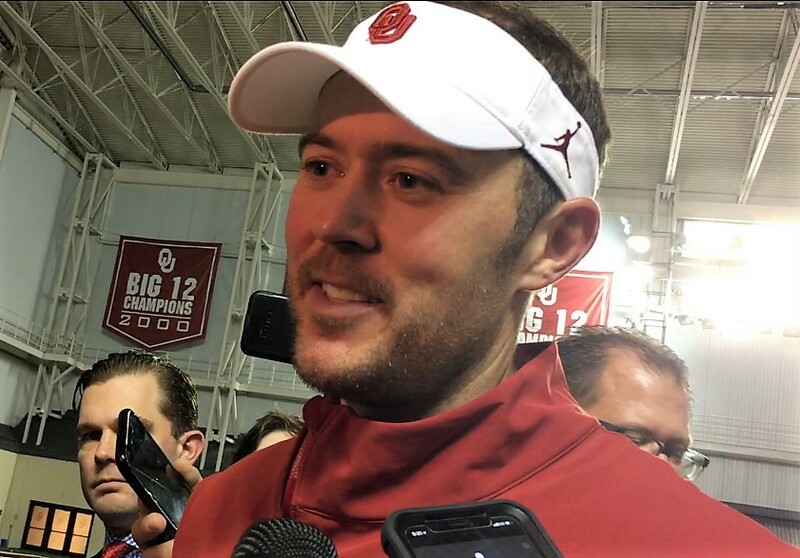 NORMAN — Lincoln Riley stood on the turf in the Everest Training Center, surrounded by some 30 reporters and media, and contemplated what he’d just done. 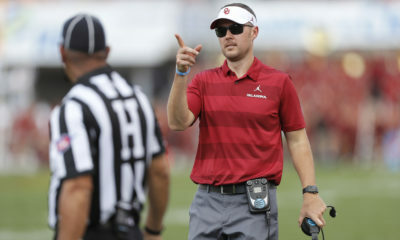 Less than 18 months after Bob Stoops retired and virtually appointed Riley head football coach at the University of Oklahoma, Riley made Mike Stoops unemployed, firing the Sooners’ defensive coordinator following a disastrous 48-45 loss to rival Texas. With Oklahoma on an open date this weekend, Riley didn’t have his usual noon Monday press conference. But, rather than avoid a hot topic, Riley scheduled a 5:15 press briefing for after practice. For 20 minutes, Riley took on almost every question like he always does: straight ahead. Riley used the words “new voice” four times and the word “spark” seven times. That’s how to best summarize his decision to part ways with Stoops. 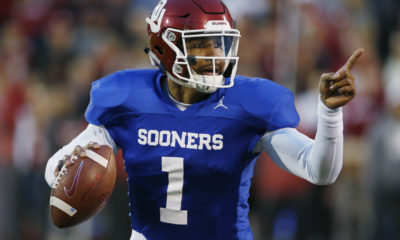 Big-time college football is a bottom line business, and to his credit, Riley recognized that Stoops’ defensive efforts were not meeting the bottom line. 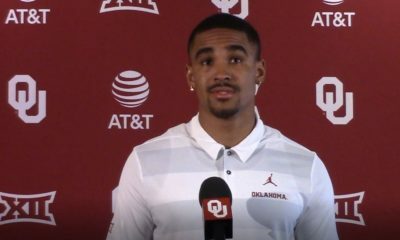 Riley thinks the Sooners are still a championship contender, but to achieve that, they’ll need to be markedly better on defense. How, then, does having a new defensive coordinator allow players to tackle better, cover better, rush the passer better and play more fundamental defense? “Well playing good football, whether it’s offense, defense or special teams, takes everybody,” Riley said. “There’s never one thing or one person that’s the cause. Like I said, I felt like we needed a spark. I felt like sometimes just one little thing can kind of get you going. “Lot of those guys loved Mike, were recruited by Mike. And everybody in that room felt ownership in this,” Riley said. “It damn sure ain’t all Mike’s fault. It’s my fault, it’s every coach in that room’s fault, it’s every player in that room’s fault. We all own it. I think we all — you hate that part of it. But they understood why we did it. Stoops’ voice — his message, whatever it was, however he was conveying it — was not getting through. 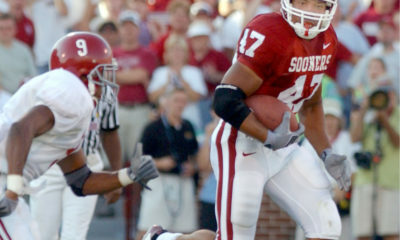 OU has good players, players that other schools tried to recruit, players that will go on to play professional football. But too often under Stoops, those players were not developed to their potential, and the program suffered for it. That spark, then, is a new defensive coordinator, and that new voice is Ruffin McNeill’s. Without giving away any trade secrets, Riley confirmed that McNeill, 59, will simply assume Stoops’ role — and will get plenty of help. Riley tried to describe his relationship with Mike Stoops and how that made it so difficult to cut ties with Mike. “Tough. Tough,” he said. “It’s real, and as much as you want to take the human element out of it we’re all humans. The fact that it’s Bob’s brother, did that make it harder? In some ways. But more than that just simply taking Bob out of it, just my relationship with Mike and Mike’s relationship with me and the run we’ve had here together – defensive and offensive coordinators can either be at each other’s throats because you’re against each other the whole year and then you’re trying to work together the whole season and it can be either really bad or really good.